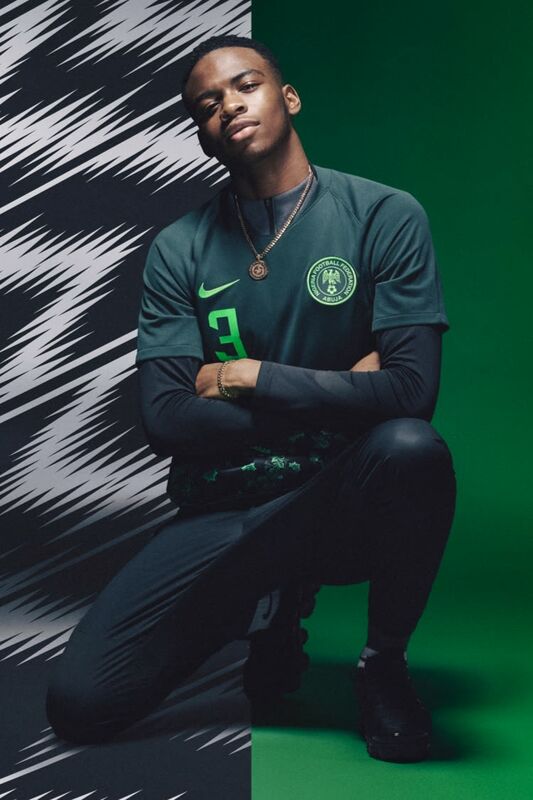 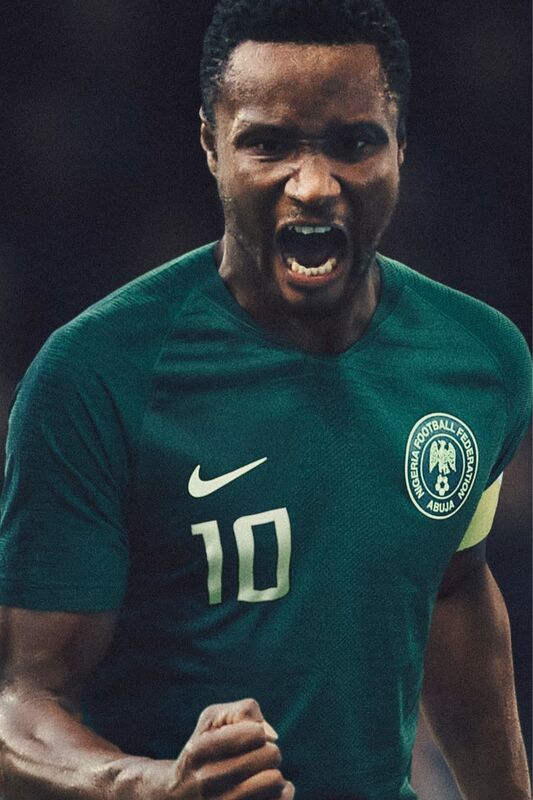 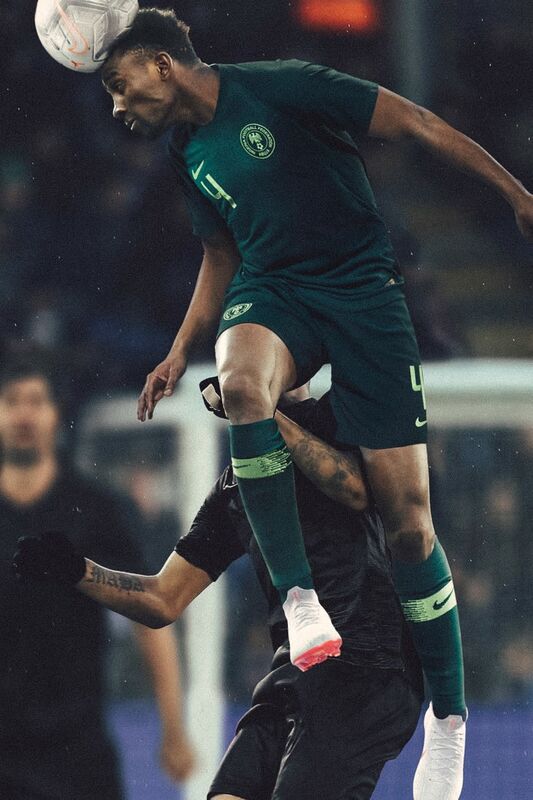 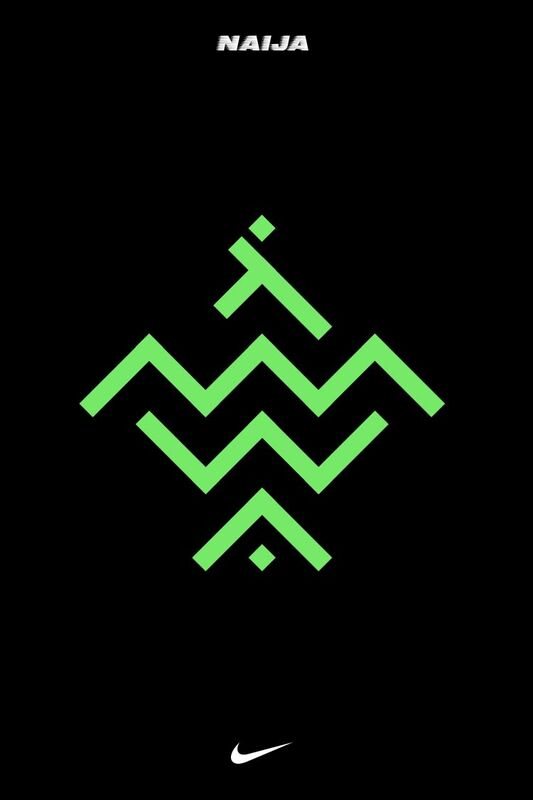 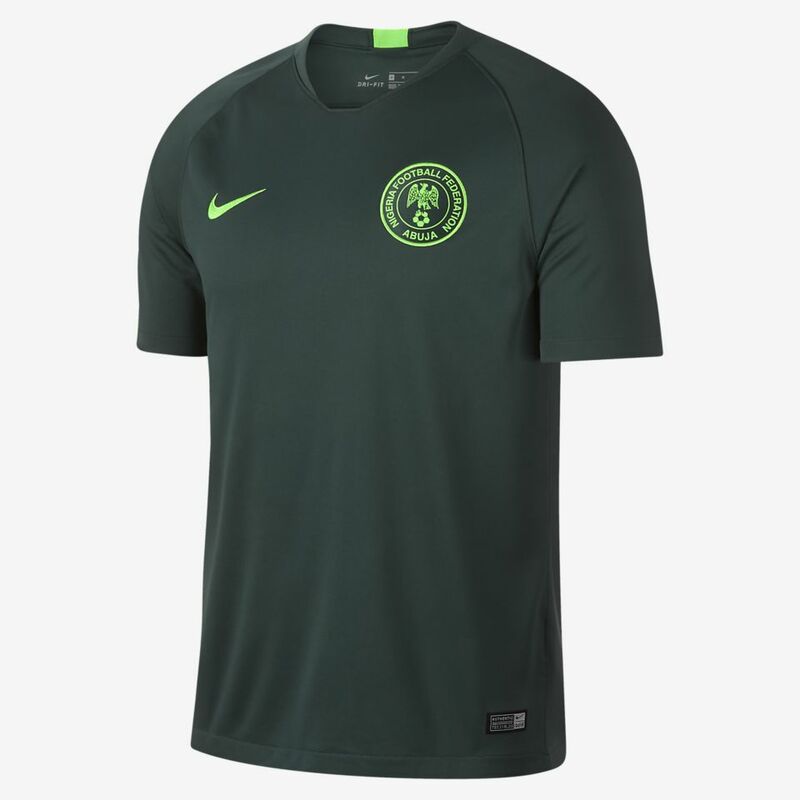 In a country whose vibrant culture reaches everything from music and art to football, the Nigerian National Team's green away shirt anchors the team in tradition. 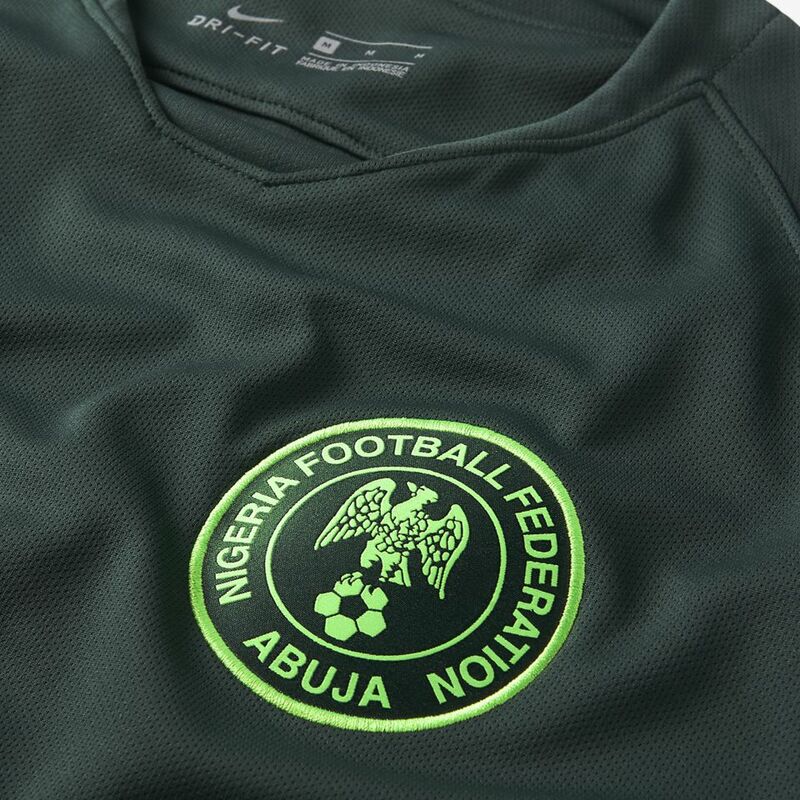 Taken from the first flag of an independent Nigeria, the colour green is a long-standing symbol of the nation. 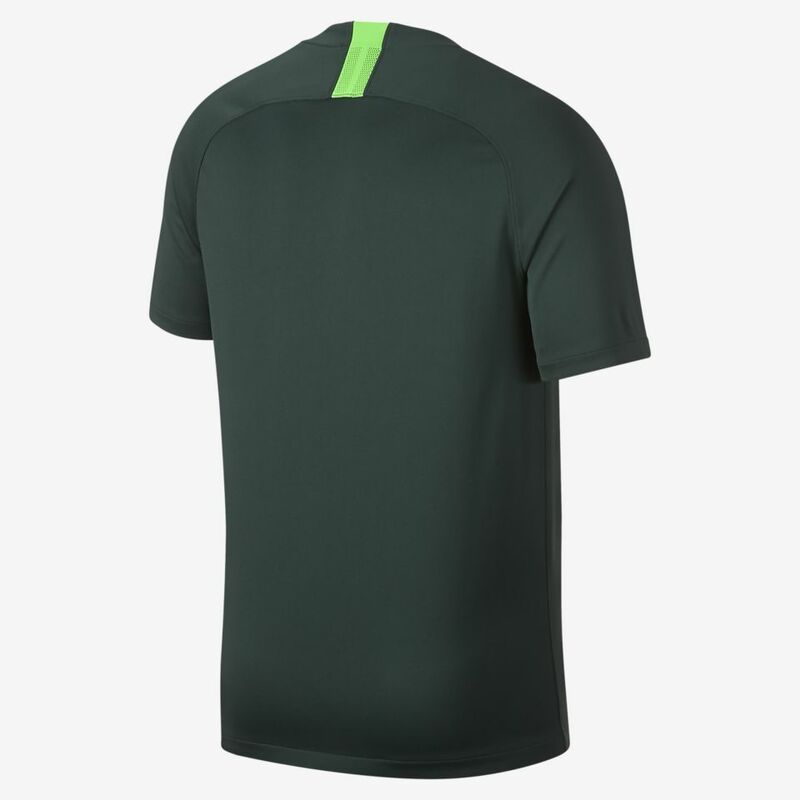 While it has typically been used on the home strips, the 2018 season sees the traditional colour applied to the away kit. 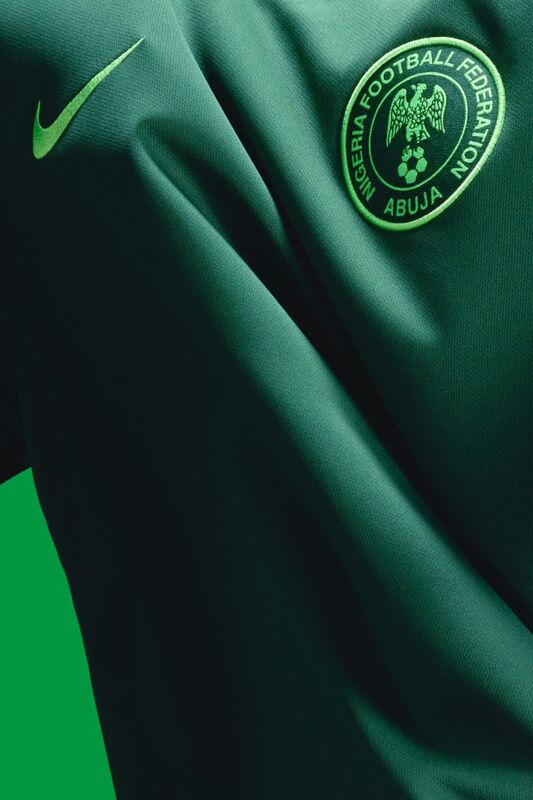 A new badge features a resurrection of the design worn by the gold medal-winning "Dream Team" of 1996, in a single, brighter green for a clean aesthetic.